Home improvements are fun and exciting. It’s like living in a new space with that same home feeling. There are many ways to turn your old home into a new one. Among them, house painting is by far the best home improvement. However, paint can be messy and difficult to remove. This is why it is important to prepare your house properly. Here are some tips from an exterior painting contractor that will better help you as you think about preparing your home to be painted. If you want to paint to last, you should put it on a clean surface. Do not waste time by scrubbing with your hands. You have to get the job done right, so use the right tool. Use compressed water to give your walls a deep clean and get rid of all the built-up dirt. So get yourself a pressure washer from the hardware store or borrow one from your neighbor. The amount of time you will spend using it will mostly depend on the area you are cleaning, but still way faster than scrubbing with your hands. Here are a few things to consider before paint preparation: > safety- pressure washers are loud and can move materials violently. So consider wearing earplugs for noise reduction and safety goggles to protect your eyes. > Use-Pressured water can damage surfaces such as wood or remove the actual paint from the wall. To avoid this, the trick is simple: do not clean one spot for long, keep the pointer moving at all times. Now that your area of interest is nice and clean there is one last thing to remember: paint does not stick on a wet surface. Having said that, make sure the cleaned area is perfectly dry before putting any layers of paint on it. Many people don’t know this but weather can ruin a good paint job, especially rain. Look, it is a bittersweet process to track the weather. If it’s too hot, the paint will dry quickly and leave unwanted marks on the surface. As for rain, we all know that it will remove the paint. So, what you are mostly looking for are weather conditions that are not too hot and definitely no moisture. Some experts suggest that you should never paint your house when you have temperature readings of anything below 50 degrees. The following tips may help you achieve a professional paint job. > Side painting- the trick here is to paint one side at a time. Find a shaded side and start painting it to avoid direct sunlight. When you are done move to another side and so on. > Time management- painting is a form of art, you can’t rush art. So prepare yourself properly and take as much time as you need to gain great results. House painting may look simple and easy to do, but looks can be deceiving. There are many steps and precautions to consider before starting a paint job. However, that does not mean it can’t be done. That also doesn’t mean it can’t be fun. Try out these easy to follow the step and see just how effective they can be. Before you know it, you will be living in a house with a new paint job. 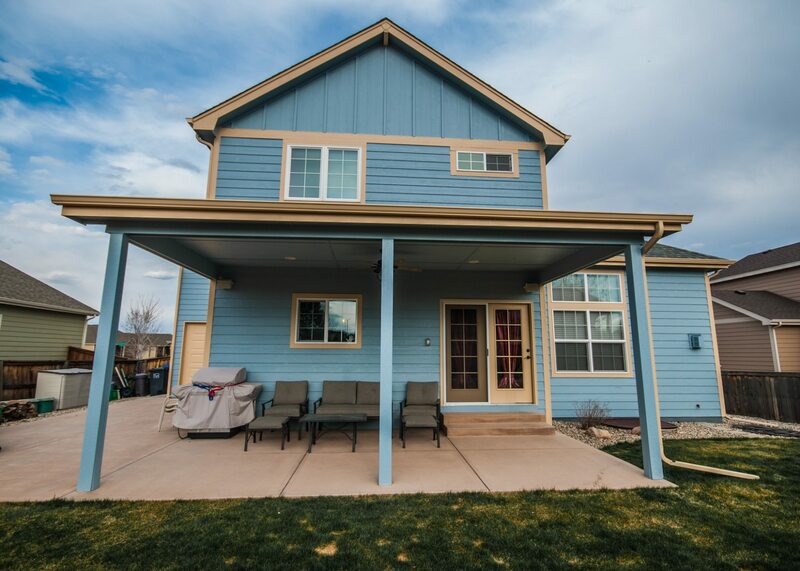 Foothills Painting provides services to the residents and business in Greeley. For more information contact us at https://foothillspaintinggreeley.com or painters in Greeley CO.